3. In a medium saucepan, melt butter and sauté garlic. Remove from heat and stir in flour until combined. Return to low heat and add milk, cream cheese and salt. Stir until thickened. It’s ok if there are a few cream cheese lumps! 4. Add cream cheese sauce to drained noodles and stir. Pour this mixture into a glass 10x15” casserole dish. 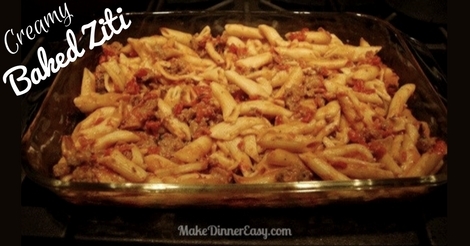 Spread meat sauce on top of noodles. Sprinkle cheese on top of the meat sauce. 5. Bake uncovered at 375° for 20 minutes or until cheese is melted. This can be made earlier in the day and then baked for 40 minutes or until hot. 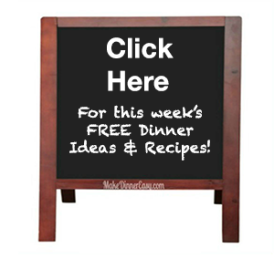 I have to tell you I absolutely love your recipes and this idea in general!! 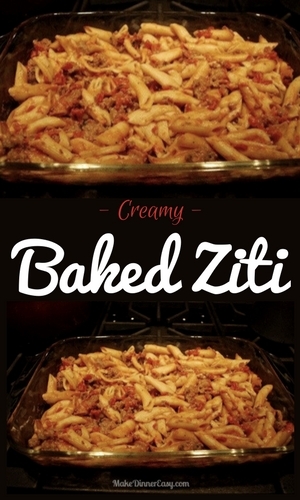 One of my favorites was your baked ziti with the couple extra steps for the cream cheese/evaporated milk. I've used it a couple times when I have big groups with kids because everyone likes it and I can make ahead. Thank you!